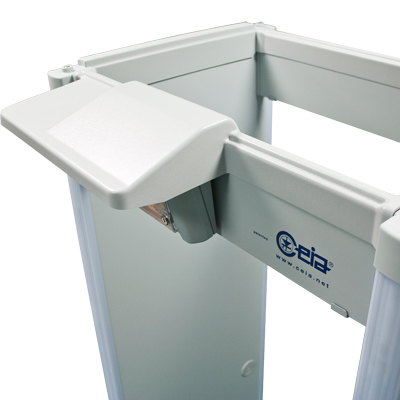 CEIA presents the new HI-PE Plus Multi-Zone Metal Detector, a development of the well-established HI-PE model. Accurate detection of all metals, high level of discrimination, full compliance with the latest Security Standards and exceptional immunity to external interferences are among the main peculiarities of this new device. 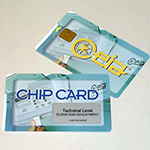 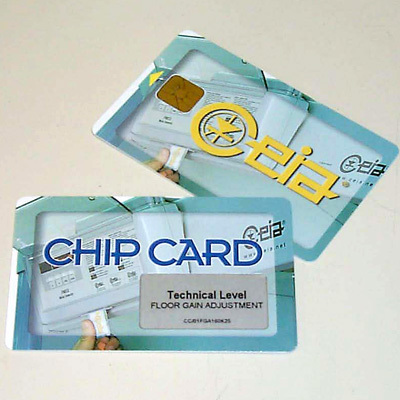 Chip Card System: The system allows the Head of Security to set the Security Level quickly, reliably and without having to program the device in any way. Met-Identity technology for Identification of Threat Composition. 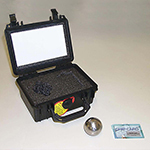 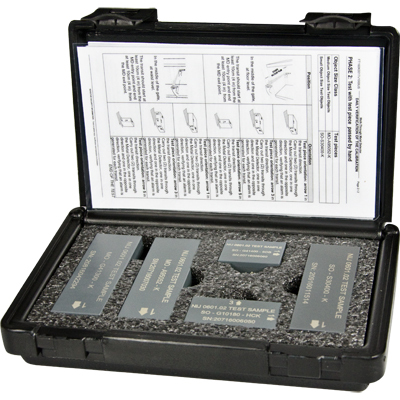 The most advanced Security Standards require detection of all ferrous and non-ferrous metal weapons and of those constructed in special non-magnetic alloys. 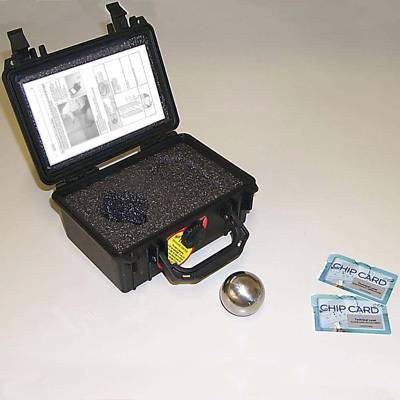 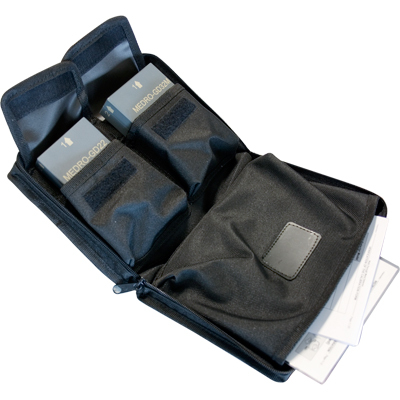 The HI-PE Plus detects firearms and knives of this type, even when they are hidden within body cavities, and accurately indicate the position of the threat, its intensity and its prevalent composition. 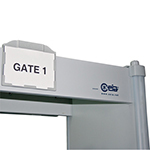 Inspection personnel thereby acquire thorough knowledge of the metal item and can act, according to procedures, with maximum effectiveness and security. 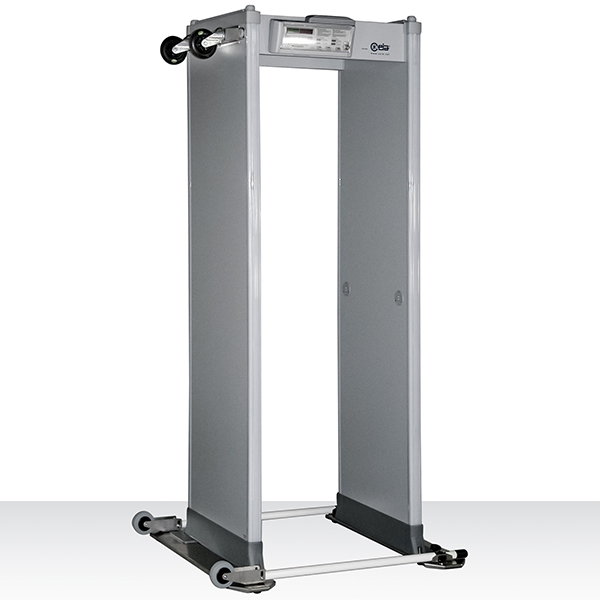 Cutting-edge discrimination technology allows personal effects to be ignored, creating rapid transit flow. 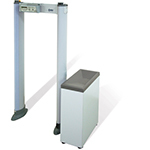 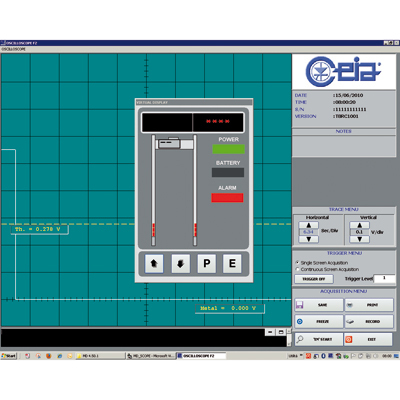 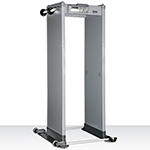 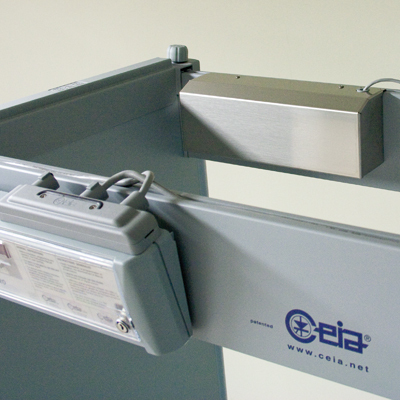 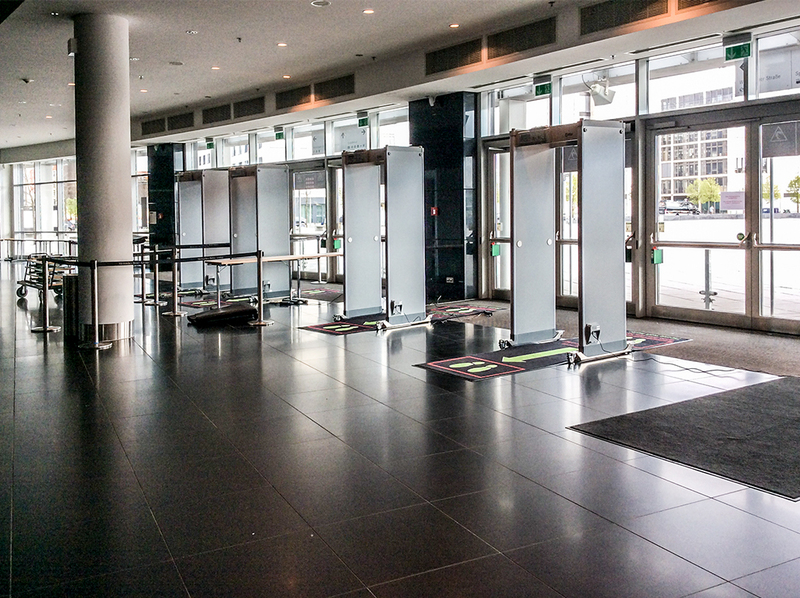 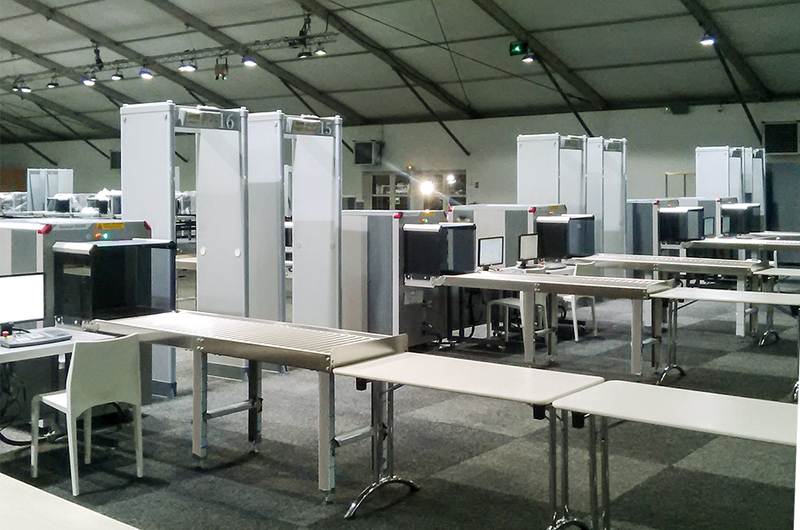 The transit volume magnetic scanning system, invented by CEIA and applied since production of the first zonal Metal Detectors in 1986, allows state-of-the-art detection and discrimination results. The HI-PE Plus has a very low nuisance alarm rate even at the strictest Security Levels requested today, and therefore allows high transit flow rates and the minimum need for intervention by inspection personnel. 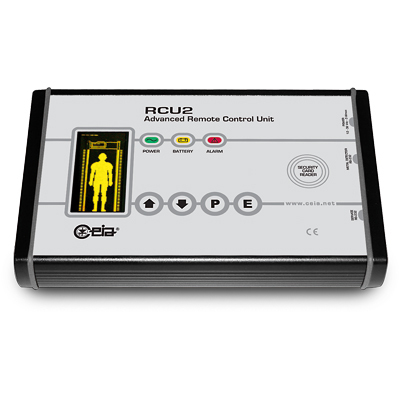 High visibility of the control unit and the zone indication independent from the operator position and the installation environment. 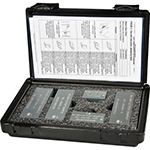 Accurate signaling is essential for best operation and flow management. 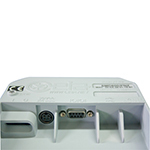 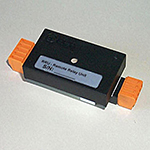 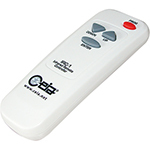 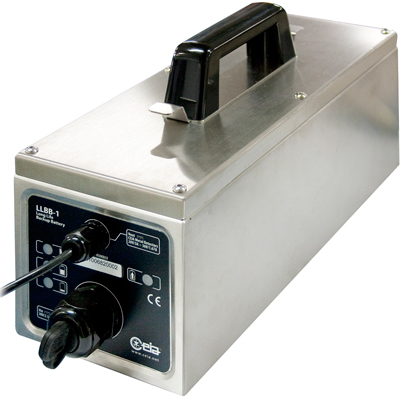 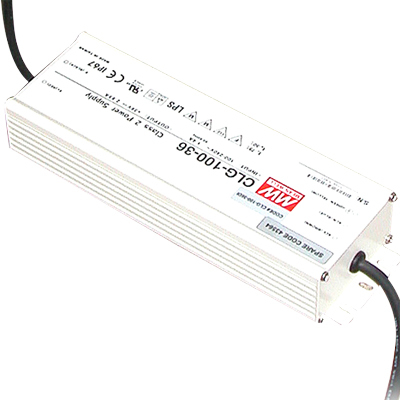 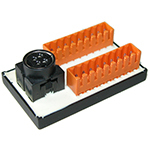 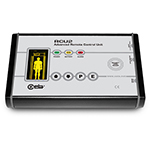 The HI-PE Plus provides the user with fully-programmable signaling. 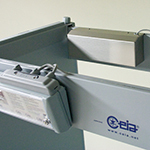 Both entry-points can indicate with a high level of accuracy, even simultaneously, the vertical and lateral areas of transit of the threats detected, and can also be configured as ’traffic lights’ to control transits through the detector. 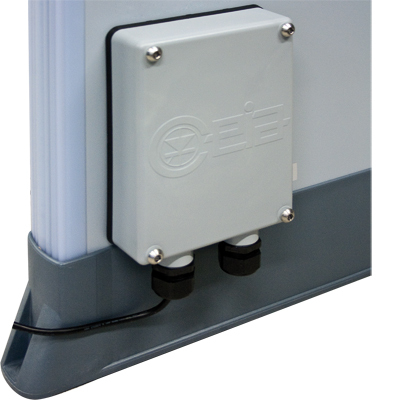 Flexible Acoustic Alarm Signaling System: 10 Continuous and Pulsed Tones; 34 Special Sounds. 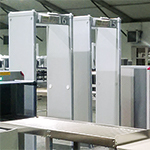 Up to 50 built-in Security Programs: Up to 30 International Standards; Up to 20 Customizable Levels. 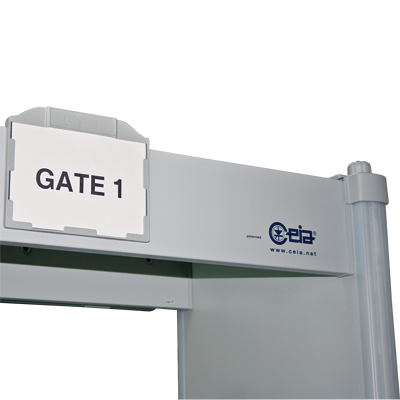 Setting the Security Levels could not be easier and more versatile than in the HI-PE Plus. 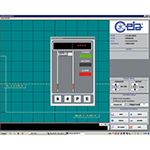 Users can choose directly from the known International Standards or request implementation of a Standard personalized to their own requirements. Users can also create their own work program and save it in internal memory provided for the purpose. 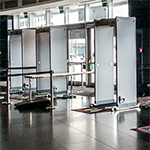 Infrarot-Fernbedienung für die kabellose Fernprogrammierung der Steuereinheit.